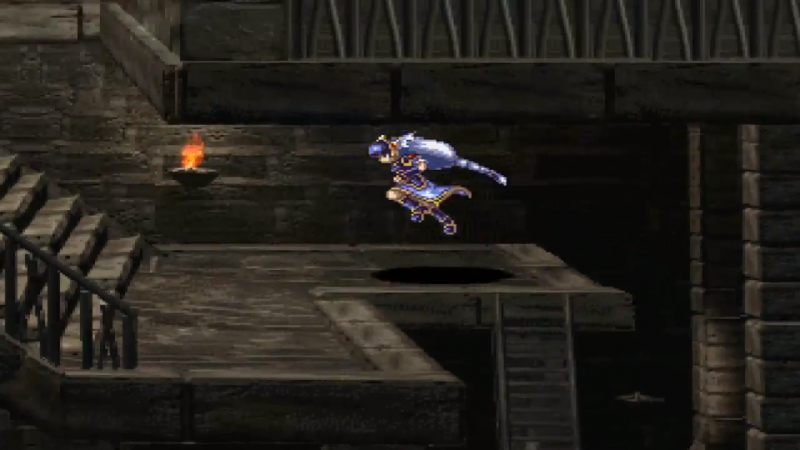 Recently, Square-Enix unveiled a trailer depicting Lenneth, the winged goddess of fate from the Valkyrie Profile series with the tagline, “In 2018, the goddess descends.” Not a whole lot of other information is included in this trailer, aside from the logo for Valkyrie Profile: Lenneth, the 2006 PSP port of the original game. The Internet being the Internet has taken it upon themselves to theorize. Nothing has been revealed officially beyond the trailer, but most likely this will be a port or remaster of the PSP version of the game. Square hasn’t had the best track record recently with its ports. Mostly, they take the mobile version and just slap it onto consoles, resulting in ugly visuals and messy interfaces. This lazy approach has really hampered some true classics, like Final Fantasy VI and Chrono Trigger. The new Secret of Mana remake didn’t really impress anyone either. All of this has me worried about what they’re going to do with Valkyrie Profile: Lenneth. The series has been dormant on consoles since 2008’s Covenant of the Plume for the DS. That game – while pretty good – took a radical departure from the gameplay of the first two games in the series. 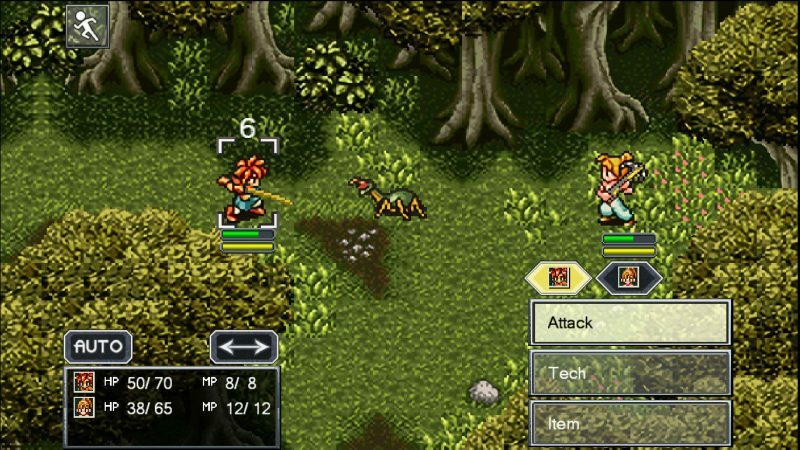 The DS game adopts a more strategy RPG style. It has its fans, to be sure (myself included), but it’s more of a side story than a true sequel. 2016 saw the release of the mobile game Valkyrie Anatomia: The Origin. This brings back the more traditional Valkyrie Profile battle system. It looks nice, but the exploration, which is such a large part of the original games, is missing. For those who’ve played the original, they know that to this day, there’s still nothing quite like it. On the surface, it looks like your standard JRPG with a slick mix of 2D sprites and the pre-rendered backgrounds that were oh-so-popular during that era of gaming. That’s really where the comparisons end though. Sure, you’ve got your epic story, which is a bonkers and bastardized version of Norse mythology. (That’s not meant as an insult, by the way. The story is insane, but amazing.) You also control a party of adventurers, but everything else about the design of the game is almost completely different to anything else. 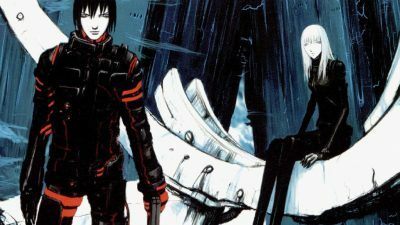 If Square-Enix can pull this remake together, it could be the rebirth of a criminally overlooked franchise. 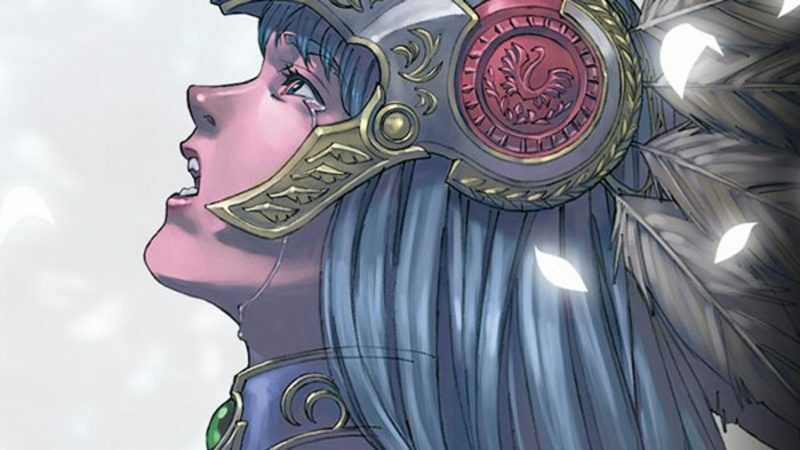 Let’s take a deeper look at what makes Valkyrie Profile so special. A summary of Valkyrie Profile’s story would probably occupy an entire lengthy chapter in the book of wacky JRPG narratives. To give you an idea without diving too deeply, Platina is a young girl living a Cinderella-esque existence in a small village. One day, a group of men come to the village and make a deal with Platina’s caretaker to buy Platina from her. This prompts Platina’s childhood friend, Lucian, to stage an escape which ends with Platina’s death. This may seem like a major spoiler, but this is all included in an optional cutscene that you can access from the main menu. 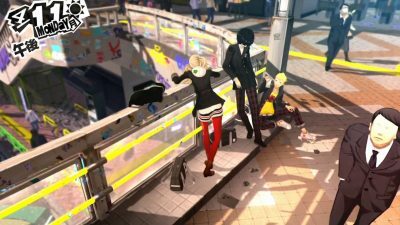 It has a lot to do with the true ending of the game, and it was a bold move to place it on the menu where players could easily skip it. The main story deals with the warrior-maiden, Lenneth (who looks suspiciously like Platina, hmm…. ), as she recruits the spirits of dead warriors, called Einherjar, for the war between the Aesir and the Vanir in Asgard. 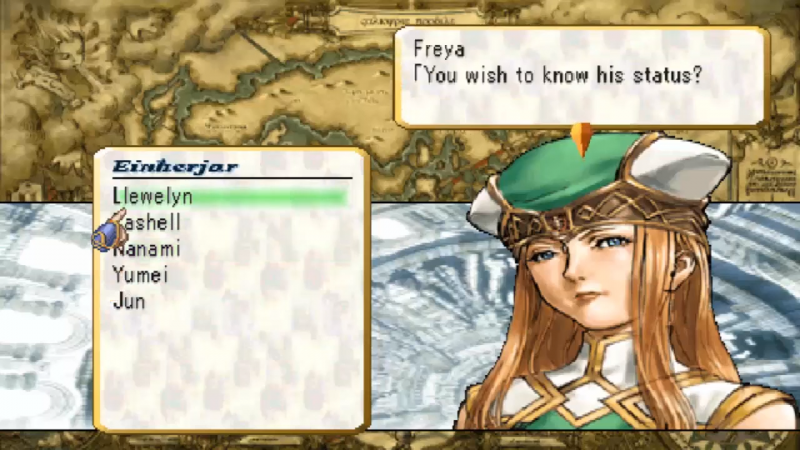 Many of the cutscenes are made up of vignettes based around the lives of the Einherjar. Usually these are tragic tales as they deal with the events surrounding the character’s deaths. The Einherjar are a rich cast of characters. And not all of them are your typical good guys. There are two endings to the story, and getting the true ending pretty much requires the use of guide, because of timing for visiting certain locations on the world map and some equipment swapping, of all things. Getting the true ending is worth it though, because not only do we see the war between the Aesir and the Vanir play out, but we also learn much more about Lenneth and her personal struggles, which are largely glossed over in the other ending. 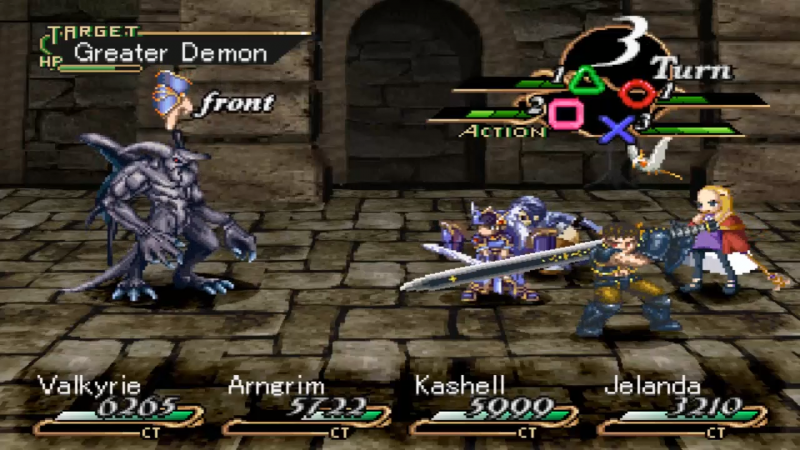 In battle, you control up to 4 characters in your party as they stand on the right side of the screen and enemies and bosses stand on the left. Pretty traditional set up, but the difference is in the mechanics. Each of your four characters is assigned to one of the PlayStation controller face buttons and depending on the weapon equipped, you can perform up to 3 attacks with each character. This creates some very satisfying multi-character combo situations. There is a bit of strategy involved as different attacks hit high or low and other attacks can knock enemies into the air. Starting a combo with one of those juggling attacks without the right timing can cause the rest of your party to attack thin air, so blindly button mashing is not the way to go. Another aspect of battles is the “Purify Weird Soul” mechanic, which are powerful special moves that usually do large multi-combo hits. They’re perfect for boss fights and several characters can perform them in succession as long as you can keep the combo meter up. 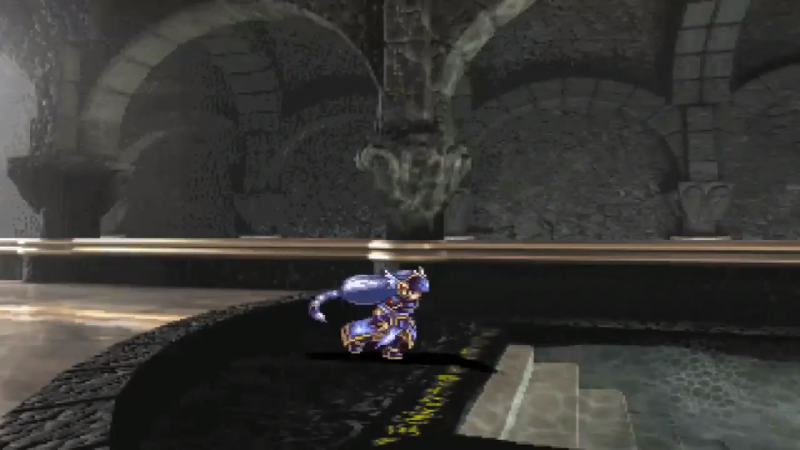 As mentioned before, Valkyrie Profile’s locations are pre-rendered hand drawn backgrounds. 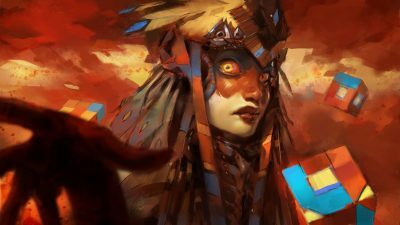 Whereas most RPGs and games in general were working hard to create 3D environments to move through – or in the case of JRPGs at least the illusion of 3D movement – Valkyrie Profile opts for a 2D platforming perspective. Lenneth can run, jump, and slide through her environment, shooting magic crystals to create platforms and freeze enemies, which can be seen on screen. That’s right, no random battles. Enemies can be frozen and used as platforms or swiped at for back attacks and pre-emptive strikes. Moving from left-to-right, right-to-left may have seemed like a disappointment at the time of the game’s release, what with 3D environments being all the rage at that time, but Valkyrie’s Profile‘s adherence to 2D movement fits well with its design philosophy and helps the game hold up better than some other offerings from the same time period. The world map, meanwhile is fully 3D and Lenneth can fly. Having the entire world at your disposal and guiding Lenneth as she zips through the air is a wonderful feeling and pretty unique, even today. 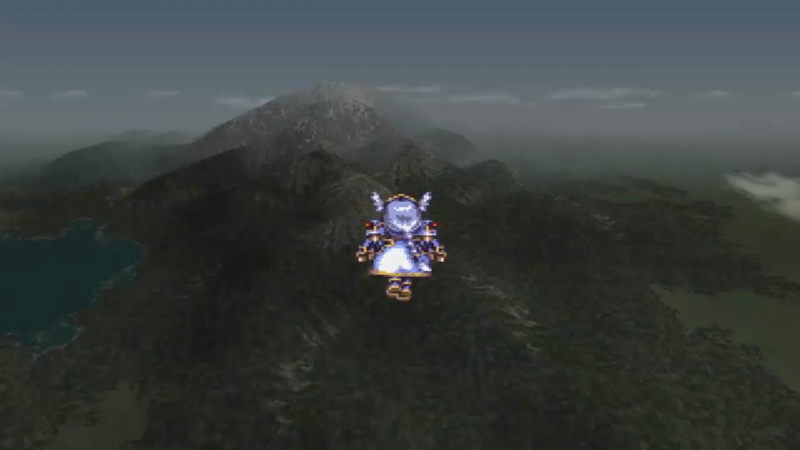 I can’t think of an example of another game where your character just flies around the world map, especially right from the beginning of the game. The structure is one of the most contentious parts about Valkyrie Profile’s design. On the surface it appears to be an open world game. Controlling Lenneth, you fly around the world map and can visit any town you like. But what’s with these “Chapter” and “Period” counters in the lower left corner? This plays into the structure of the story and the game itself. Basically, you have a time limit to save the world. The game is made up of 8 chapters and depending on the difficulty you selected when you started a new game, you have a set number of periods in each of those chapters. 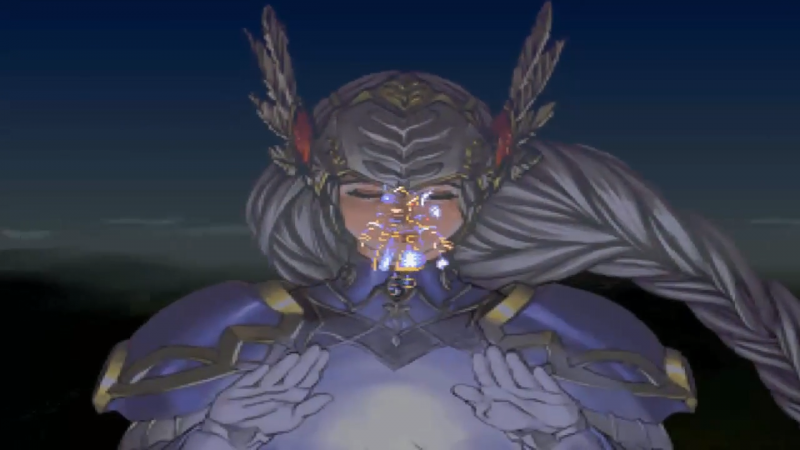 At the beginning of the first chapter, another goddess by the name of Freya, who is helping Lenneth out on her quest, explains how to use your valkyrie powers to sense the locations of Einherjar and dungeons. Using your insight powers to find important locations uses 1 period. Visiting a town uses 1 period. Visiting dungeons uses 2 periods. Locating all of the important places for a chapter usually takes anywhere between 8-10 periods, so you can begin to see that you don’t have a lot of time to just go around exploring. Usually just visiting a town when it didn’t show up as an important spot will result in nothing really going on there. If you don’t plan and use your time effectively, you will be severely crippled in the late game when the periods are over and it’s time to gear up for that final battle in Asgard. Another element to battles and exploration are the skills that your Einherjar can learn. To learn and level up these skills you need to fight and gain levels and also complete puzzles to gain event experience. Some skills are useful in battle, while others are passive, and still others are only useful in the evaluation of Einherjar when they are sent up to Valhalla. This brings us to yet another mechanic in Valkyrie Profile, the Sacred Phase. At any point during a chapter, you can send one of your Einherjar up to Valhalla where they will then be evaluated based on their level, the skills they’ve learned, and the equipment they have equipped. All of this feeds into the war between the Aesir and Vanir that is waging in Asgard. Send up a character who is not properly levelled or doesn’t have sufficient skills and they will most likely die. Again, this can cripple you in the late game as you gain access to all of the characters that you sent to Valhalla at that point. Sending up certain characters at certain times contributes towards getting the true ending, another reason you basically need to play this game with a strategy guide. Anyway, after all the periods of a chapter end, Freya evaluates Lenneth based on the strength of the Einherjar that were sent to Valhalla. 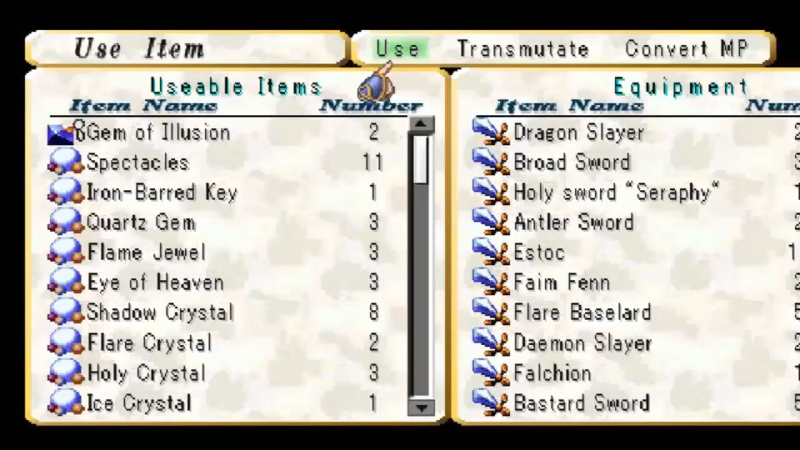 This nets you Materialize Points, which can be used to buy new weapons, armor, and items that are essential to your success, especially in the later areas of the game. Are you thoroughly confused by my explanation? I hope not, because the game explains almost none of this to you. Again, you should really play this game with a guide. Please do this right, Square! Whew, by now you may be thinking, “Is this game even worth my time?” The answer to that is yes. Absolutely, 100%, it’s worth every hour it takes to complete. 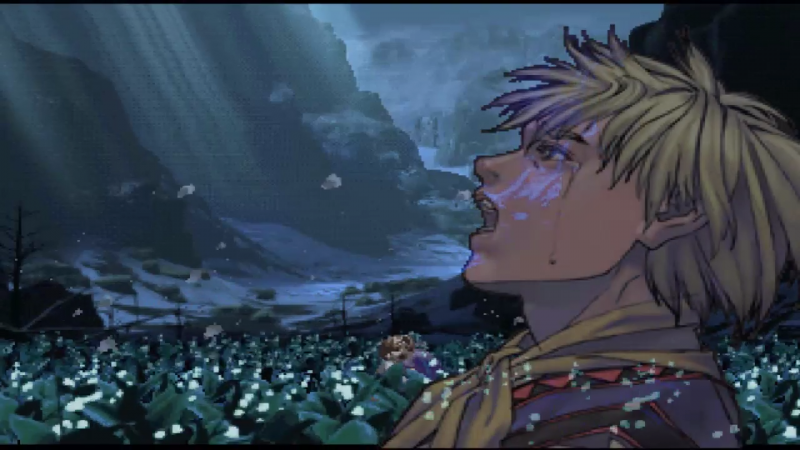 Valkyrie Profile’s story may be borderline insane, but there are moments of utter beauty and sadness. The equipment and skill system is a tangled web, but mastering your parties attack combos into a string of deadly hits is deeply satisfying. And the rigid structure is weirdly crucial to all of this hinging together. If you like working through a structure and feeling accomplished, then this game is for you. Valkyrie Profile is a deep game, full of interesting design choices. It marries the illusion of an open world with a very strict progression structure, and somehow it all works. I’m hoping against hope that Square Enix does this new port or remaster justice. If not, this may be the last we see of the series. 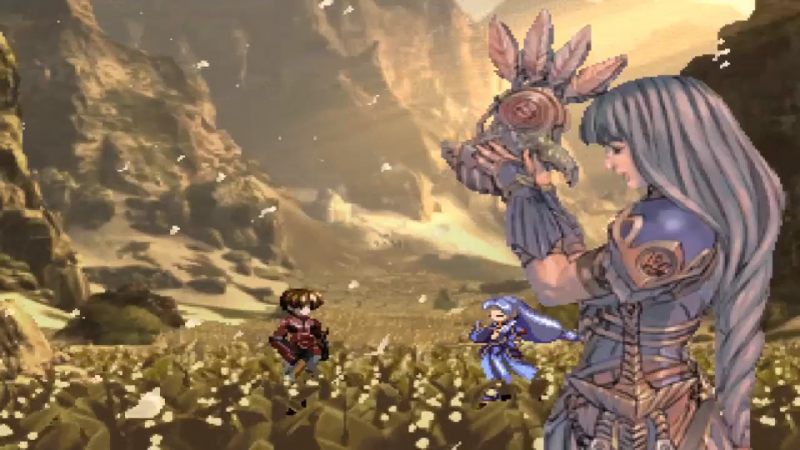 If they can do it well, then Valkyrie Profile stands a chance at a revival. At the very least, the first game’s success could mean they get started on making Valkyrie Profile 2 more accessible to modern audiences.